Since 2007, Rainbow International Restoration of South & West Suburbs has been serving the homes and businesses of Hickory Hills, IL with quality disaster restoration and cleaning services. We were founded right here in Hickory Hills by our current owner John Gurtler and we have since grown to provide services to the surrounding western and southern Chicago suburbs in Cook County. John Gurtler spent time working in construction and used this experience to develop Rainbow International Restoration of South & West Suburbs into a quality disaster restoration company that can provide effective restoration following any type of disaster. We strive to provide high quality restoration as well as excellent customer service to fully restore your property. 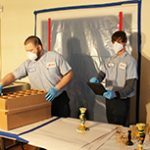 The disaster restoration services that we provide include but are not limited to water damage restoration, fire damage restoration, mold remediation, smoke and soot removal, and content cleaning and pack-out services. Each of our technicians has passed an extensive background check and received IICRC certification to ensure that we send trusted individuals to your property that can get the job done right. You can expect our technicians to use advanced equipment and methods to completely restore the damage to your home or building. Rainbow International Restoration of South & West Suburbs has formed professional relationships with local insurance providers, roofers, home inspectors, property managers, and realtors to make the restoration process more efficient. We even provide direct billing to bill your insurance company for the cost of the claim. Our price match guarantee also helps keep your restoration costs low. With this guarantee, we will match or beat competitive proposals that adhere to the IICRC’s standard of care. Rainbow International Restoration of South & West Suburbs has been recognized for being a leader in our local community and our industry with several awards including the Better Business Bureau’s Prestigious Torch Award and the Excellence in Leadership Award from the Dwyer Group. Our technicians have over 100 years of combined experience and can respond to emergencies in Hickory Hills, IL 24 hours a day. You can reach us any time at (708) 571-2550 for disaster restoration and cleaning services. Water damage is a common problem in homes and buildings that can lead to serious consequences if it is not quickly addressed. 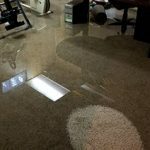 The severity of the initial damage caused by excess water may vary depending on the source of the damage, but all cases of water damage should be considered an emergency because of how quickly it can spread. 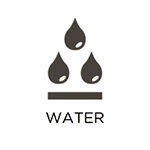 Porous building materials like wood, flooring, carpeting, furnishings, and drywall absorb water which causes it to spread further and deeper into the building. The affected materials may become discolored or weakened, leading to structural damage, and they are at a much higher risk for mold growth. Rainbow International Restoration of South & West Suburbs provides water damage restoration services for homes and businesses in Hickory Hills, IL affected by water damage. Our technicians can extract the excess water and thoroughly dry affected areas with our advanced drying techniques. It is no secret how much damage a fire can cause to your home or building, but some may not understand how much damage can occur to your property after the fire is out. The fire itself causes physical and structural damage to the affected areas and objects while the corrosive elements it creates, such as smoke and soot, can continue to spread and damage your property long after the fire. 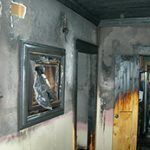 This is why it is so important to start the fire damage restoration process as soon as the fire department leaves your property. Rainbow International Restoration of South & West Suburbs provides fire and smoke damage restoration services to rebuild damaged homes and businesses in Hickory Hills, IL. Our technicians will restore the damage caused by the fire and clean surfaces and objects damaged by smoke and soot. You may not realize it, but smoke and soot often cause more property damage than the fire itself. After a fire is out, these corrosive elements remain, spreading to new areas of the property and causing damage to the affected objects and materials. Because these elements are so corrosive, they can cause permanent tarnishing and etching if they are not properly cleaned. Rainbow International Restoration of South & West Suburbs provides smoke and odor removal services in Hickory Hills, IL to clean up damage caused by soot and remove lingering odors from the smoke. We use proven deodorization methods and advanced cleaning products to salvage affected materials and leave your property odor free. 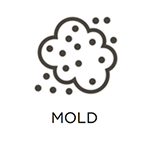 The presence of mold means trouble for a homeowner or business owner because it can damage your property and trigger negative health effects. 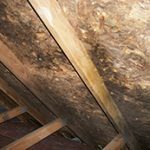 Mold typically appears after there has been water damage because the spores need moisture to survive, and the resulting mold colonies feed on the affected surfaces which can eventually cause permanent and structural damage. Those who are exposed to mold may experience a range of allergic reactions that will only get worse with prolonged exposure. 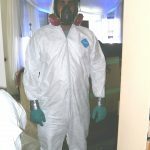 Rainbow International Restoration of South & West Suburbs provides mold remediation services in Hickory Hills, IL to cleanup and remove indoor mold growth. Once the remediation is complete, we will have a third party test your property to ensure that the mold was effectively removed. The damage caused by natural disasters can rarely be contained which means that your personal belongings are vulnerable to damage as well as your home or building. Many personal items including electronics, clothing, books, artwork, and important documents can sustain significant damage from water, mold, smoke, and soot. If many of these items are not restored quickly, they may become unsalvageable. At Rainbow International Restoration of South & West Suburbs, we provide content cleaning and pack-out services to restore your damaged personal items in Hickory Hills, IL. If your items cannot be safely restored on-site, we will take them to our facility for cleaning and storage while the restoration is done to your home or building. 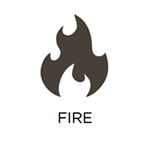 In many scenarios involving fire, smoke and soot actually cause the most damage. Smoke and soot are both corrosive byproducts created by fire that can spread through the property after the fire is out and cause discoloration or etching to affected objects and materials. The damage caused by smoke and soot can become permanent if it is not cleaned quickly with the proper cleaning products. Rainbow International Restoration of South & West Suburbs provides smoke and soot cleaning services in Hickory Hills, IL. We use advanced cleaning products that can remove tarnishing caused by smoke and soot, and we can also remove odors left by the smoke. Damage caused by excess water and flooding can be severe within a home and if the water contains sewage, the situation is even worse. 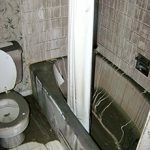 Sewage can get into a home or building if it is mixed with the water from a natural flood or if there is a sewage backup. The waste materials in sewage cause significant damage to affected objects and materials and they contain harmful viruses and bacteria that can spread infection and disease. You are strongly advised to avoid contact with sewage water and call the professionals of Rainbow International Restoration of South and West Suburbs immediately. We provide complete sewage cleaning services in Hickory Hills, IL to remove sewage contaminated water and clean and restore the affected areas. Our thorough disinfection after removing the sewage will help reduce the risks of infection or disease. 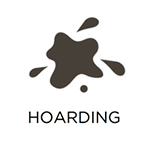 Hoarding is a serious mental disorder that can have very dangerous consequences for the affected individual and their families. Anxiety and depression are at the root of hoarding disorder and these feelings prevent those affected from being able to throw anything in their home away. This is why clutter builds so quickly within the homes of hoarders. As the clutter of items grows, the risk of injuries, fires, and mold and bacteria growth increases, creating dangerous and unsanitary conditions. 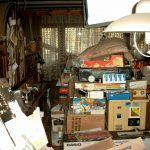 You cannot simply start to clean out a hoarder’s home, you must reach out to them and help them make the decision to start the cleanup themselves. Rainbow International Restoration of South & West Suburbs provides hoarding cleaning services to help those struggling with this disorder in Hickory Hills, IL. Our technicians will treat the affected individual with respect and work directly with them to fully clean out and sanitize the home. Each day, serious accidents and violent crimes occur in the U.S. It is easy to think that it won’t happen on your property, but it helps to know what to do if such a situation does occur. 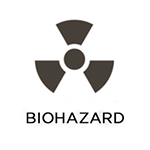 The scene of a major injury or death typically includes biohazard materials like blood and bodily fluids that easily spread infection or disease. It is always best to call emergency responders first, and then a licensed restoration professional after the emergency responders arrive on the scene. Rainbow International Restoration of South & West Suburbs provides biohazard and trauma scene cleaning services in Hickory Hills, IL to safely clean and restore scenes that contain dangerous biohazard materials. We have the right cleaning products and equipment to thoroughly clean and sanitize the scene and we can also cooperate with law enforcement officials who are investigating a crime.